FSSA hosted its first ever pep rally to support its girls and boys sports teams. 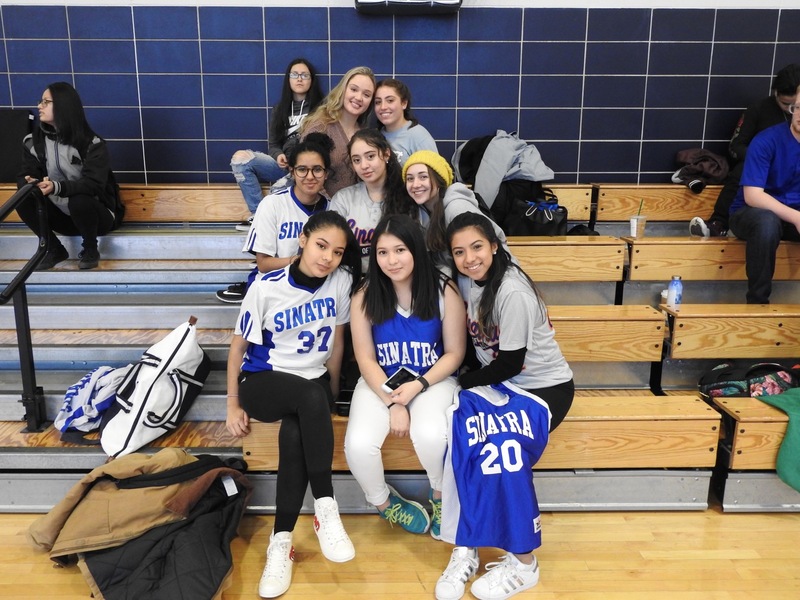 January 19th, 2018 started a new tradition at Frank Sinatra School of the Arts (FSSA), a pep rally for its seven sports teams consisting of four girls teams, two boys teams, and one team for boys and girls. FSSA also hosted its Cheerleading Squad and a Step Team, both of which performed at the pep rally and during the basketball game that followed. At 3 pm the FSSA Jazz Band performed to start the festivities off, followed by the teams walking out into the school gym. First was the girls tennis and soccer teams, then the girls softball team, followed by the boys baseball team and the girls volleyball and basketball teams. The last team to walk out was boys basketball with their coach John Billera. The boys ran out to two full stands of students and a banner that they ran through, it was quite the way to build up the adrenaline before a game. Katelyn Villacres, the FSSA sophomore student representative, who is also a member of the girls soccer and softball teams said this was the best time to conduct a pep rally for the 2018 sports season. The Lady Legends were in attendance to give and show their support. After all the teams came out the FSSA Step Team performed, and that concluded the pep rally, but the charisma and positivity remained as the boys basketball team took on Baccalaureate its neighbor in Astoria. Before the game the boys were 5-5 for the season in 4th place for their division, but as of Friday the boys are now 6-5 for the season after a win. 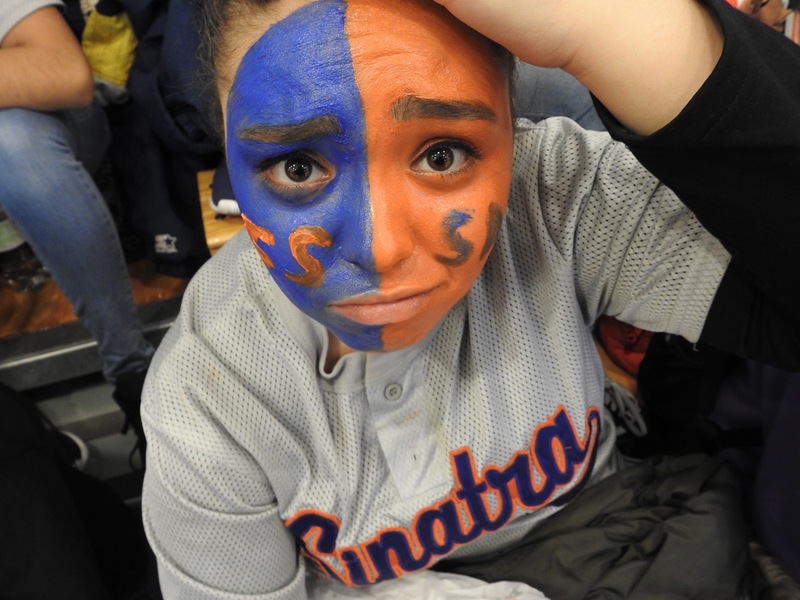 Carmela Ruiz, a senior film major who is on the girls volleyball and softball teams described how it felt to be recognized as an athlete who has been on two teams for the past four years. Overall, the enthusiasm was felt by everyone who attended. The athletes at Frank Sinatra School of the Arts hope this event is reoccurring, many athletes were happy and felt a sense of pride during this celebration. The pep rally showed a new sense of school spirit reflected through something other than the arts and the outcome was enough to start a brand new tradition to appreciate the athletes. The school is still surrounded by the arts because that is what it’s known for however, FSSA can now show that it is more than just an art school.